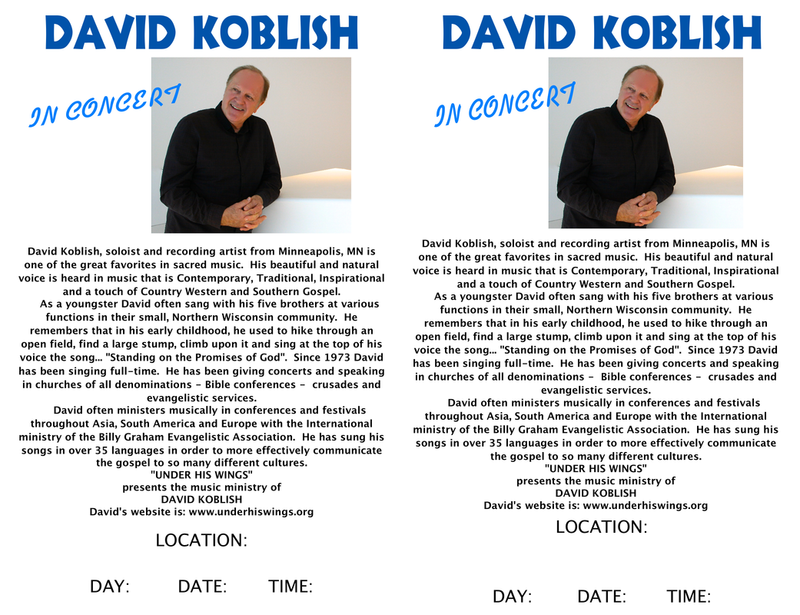 David Koblish, soloist and recording artist from Minneapolis, MN is one of the great favorites in sacred music. 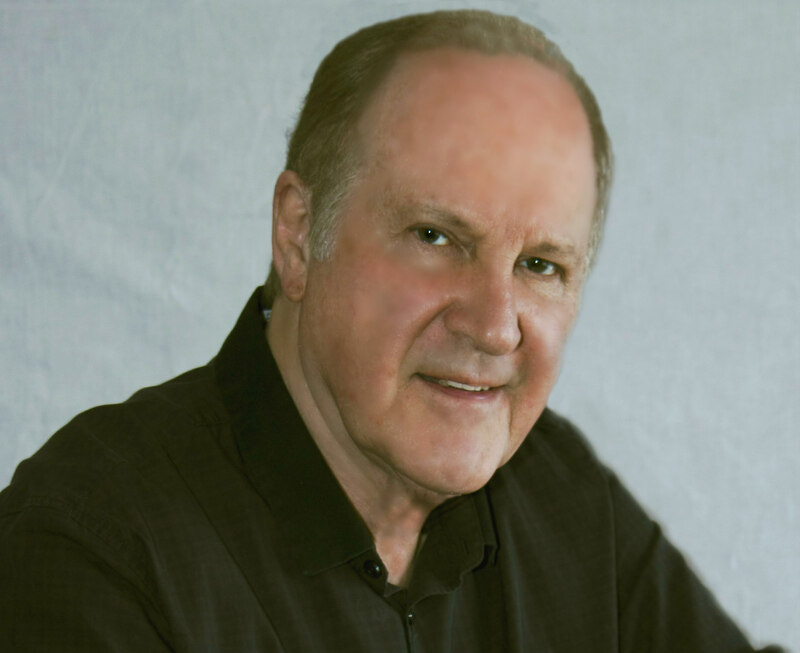 His beautiful and natural voice is heard in music that is Contemporary, Traditional, Inspirational, and a touch of Country Western and Southern Gospel. As a youngster David often sang with his five brothers at various functions in their small Northern, Wisconsin community. He remembers that in his early childhood he used to hike through an open field, find a large stump, climb upon it and sing at the tip of his voice the song - "Standing on the Promises of God". Since 1973 David has been singing full-time. 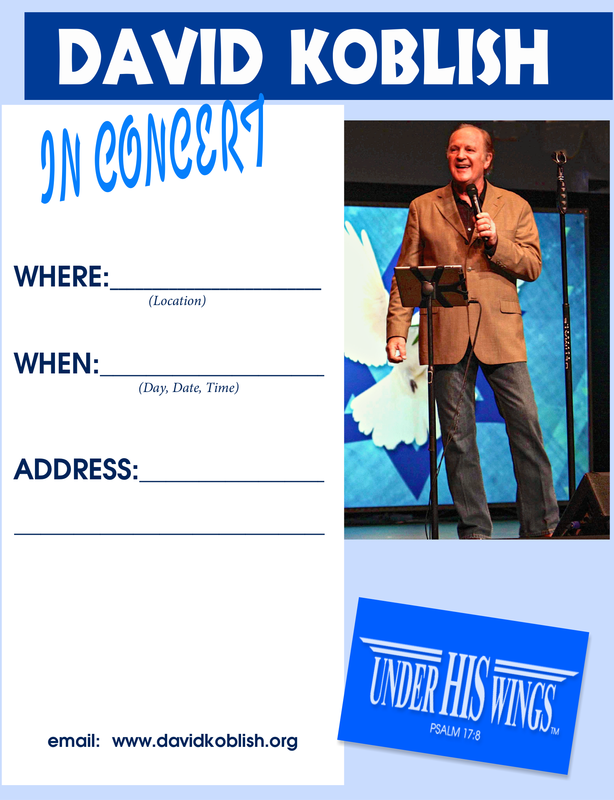 He has been giving concerts in churches of all denominations - Bible conferences - crusades, and evangelistic services. David often ministers musically in conferences throughout Asia, South America, and Europe with the International ministry of the Billy Graham Evangelistic Association. He has sung his songs in over 35 languages in order to more effectively communicate the gospel to so many different cultures. __________ . The public is encouraged to attend. A free will offering will be received. For further information please call __________________________ . (Church Phone Number).